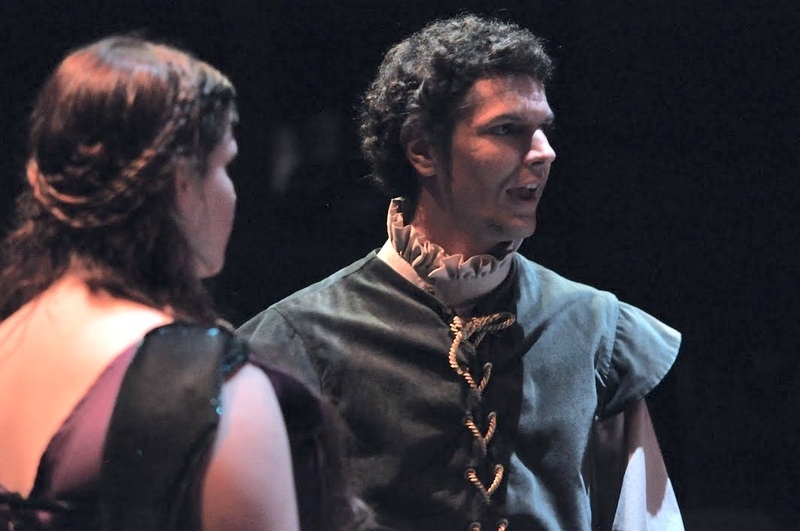 The Theater Arts Department at UCSC has a robust and talented transfer student population that is integral to the department. The department is committed to assisting transfer students who declare the Theater Arts major to graduate within their time here at UCSC. Following notification from Admissions that a student has accepted a place at UCSC, Theater arts will work with transfer students to plan enrollment in the right classes to graduate in the major. Through email, phone or personal meetings with the Academic Advisor, Moon Rinaldo, we will arrange and update your plan to complete the major in the timeliest way possible. Advice will be given to students who plan to focus on any of the areas in Acting, Design or Dance. Transfer students are encouraged to attend Summer Orientation, where the advisor will be available to answer all questions, give out places in classes and give information regarding Theater Arts productions opportunities. If transfer students have taken Theater classes at another institution, those classes will be examined to determine whether they will match with the Theater major, minor or Dance minor requirements. This may result in creating a substitution for one or two of the relative requirements. Immediately after your decision to attend UCSC, if you have indicated Theater Arts as your proposed major, you will receive email messages from the Theater Arts Academic Advisor. Classes will be suggested for your incoming Fall or Winter quarter. Students will be invited to contact the department for a meeting, phone conversation, or email discussion about their plan to complete the major. The Theater Arts department saves places in Fall classes for incoming transfer students, so they may rest assured that they will be able to enroll in the classes they need. Students will be notified of opportunities to enter our classes that require an audition, e.g. acting studios and our quarterly faculty and student productions. They will also be informed of the student run production company “Barnstorm”, Thea 55A and B, in Fall and Winter. Becoming part of the department community is important, so students will be encouraged to take classes that promote that connection, for instance Thea 50, Fundamentals of Production (required for the major), and Barnstorm. Upon arrival at UCSC in Fall (or Winter quarter), transfer students will be able to declare the major and should make an appointment with the advisor to do so. Regular contact with the advisor throughout your academic career is encouraged. Study plans sometimes have to be adjusted and new opportunities discussed. We want to help transfer students graduate within two years and will do whatever we can to assist in that achievement. Students who take a Leave of Absence or who go abroad will also have their study plan updated in an appropriate way to ensure timely graduation. Moon Rinaldo, moonr@ucsc.edu, (831) 459-2974. Contacting faculty by email is also encouraged, their contact information can be found here.